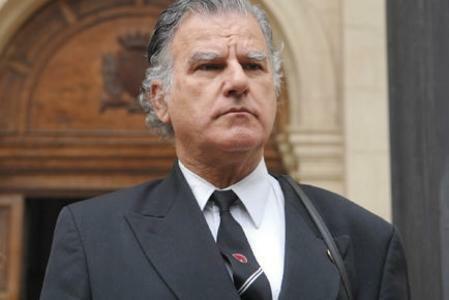 The leader and founder of Imperium Europa, who had ran unsuccessfully for the 2004 Euro-parliamentary elections, had been found guilty of inciting racial hatred and insulting the President of Malta in speeches in Rabat and Qawra in 2006, carried on the Internet. He was eventually given a two-year jail term suspended for four years and fined €500. As a result, Mr Lowell was disqualified from taking part in the Euro-parliamentary elections next June. The Criminal Court of Appeal had declared an appeal application by Mr Lowell and his lawyer Emy Bezzina null on grounds that it was not filed in the correct format as provided by law. According to law, an application for an appeal must have a brief statement of the facts, the grounds of the appeal and a demand that the judgement of the first court be reversed or varied. The court ruled that when Dr Bezzina gave a brief statement of the facts in the appeal application he was economical with words in his description of the facts to an extent that it rendered the application null. Dr Bezzina in a press conference this morning insisted that the law did not define how brief the brief statement should be. He said this was a serious case now only because Mr Lowell, as leader of a political party, was being impeded from standing for the European Parliament elections, but also because the people had a right to know the interpretation of the Appeals Court on freedom of expression, communication and opinion as well as the interpretation of the court of matter carried on the Internet. The Appeals Court, he argued, had dismissed the case without going into the merits of the case and Mr Lowell was therefore claiming he was denied the right to a fair hearing. Mr Lowell said he had confidence in the Constitutional Court because the courts had a tradition of standing up to the executive, as happened during the war,when Maltese were about to be deported. This, he said, was his final chance to defend the people’s freedom and to ensure that Malta did not suffer the torment which other countries such as the UK, France and Germany, were suffering.